Ferguson TEF 20 Diesel Tractor. 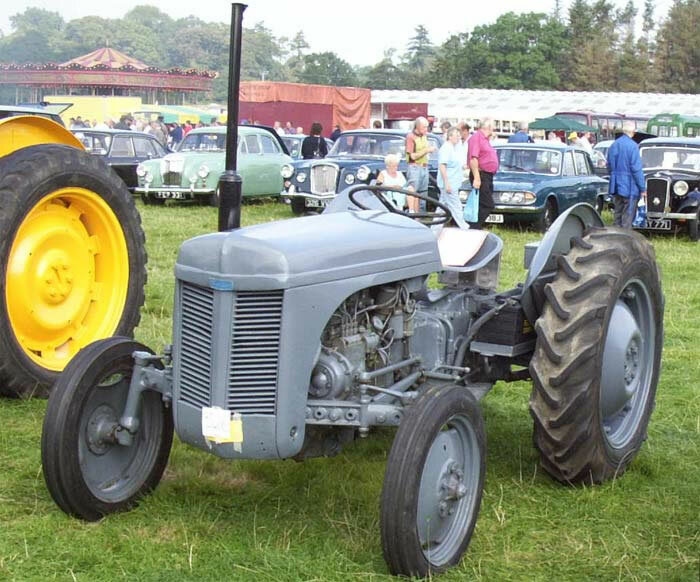 In 1953 Ferguson and Massey Harris combined forces to become Massey-Harris-Ferguson. Production of the TE series continued until 1956 when more than 517,000 examples of the gray Ferguson had left the Banner Lane Factory. During it's time in production, annual sales in the United Kingdom exceeded 20,000 and many more were exported with Australia and Scandinavia being among the major customers. Many of these excellent tractors continue to provide useful service even up to the present day.